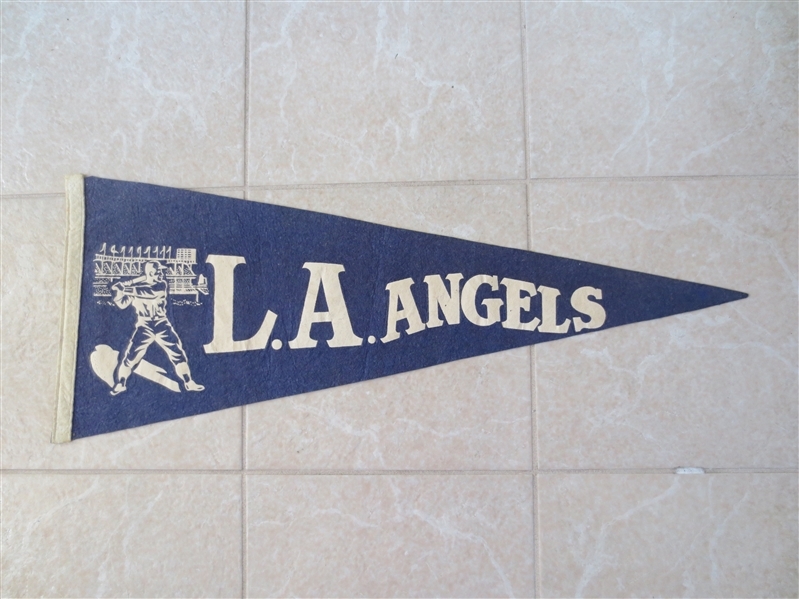 Lot Detail - 1950's Los Angeles Angels Pacific Coast League baseball pennant 29" Very nice shape! 1950's Los Angeles Angels Pacific Coast League baseball pennant 29" Very nice shape! 1950's Los Angeles Angels Pacific Coast League baseball pennant is in very nice condition and measures approximately 29 inches in length. RARE.